Looking for the best activities for kids? Enjoy a variety of the most exciting activities for families, including Rides, Miniature Golf, Game Room and other attractions. Purchase a Champ Pass for all day unlimited access to rides and miniature golf! STARTER - 1 Round of Miniature Golf and 1 Ride Ticket Up to $16 Value! PRO - 1 Round of Miniature Golf and 3 Ride Tickets Up to $32 Value! 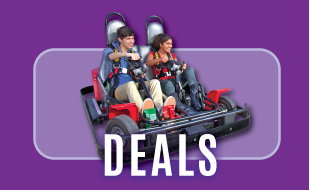 CHAMP - All Day Unlimited Go Karts, Miniature Golf, Bumper Boats, Laser Tag, Helicopter and Tea Cups BEST VALUE - Save Up to $80! Valid Monday - Friday only! Excludes redemption games and games that reward prizes or tickets. Twelve Buck wristband needed to enter the game room. Batting cages are not included. Cannot be combined with any other offer, promotion, or group. Other restrictions apply. See park for details. 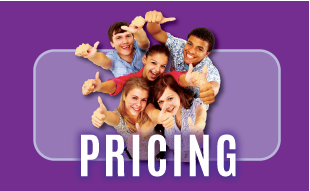 $17.99 per person for unlimited Go Karts, Bumper Boats, Miniature Golf, Laser Tag, Tea Cups, and Helicopters. 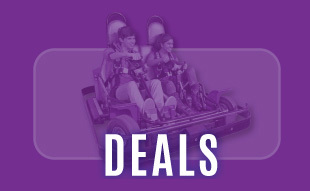 Including Unlimited: Go Karts, Bumper Boats, Lazer Tag, Miniature Golf, Tea Cups and Helicopters. 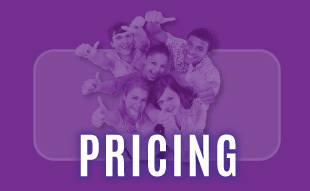 Including Unlimited: Go Karts, Bumper Boats, Miniature Golf, Laser Tag, and Helicopters & Tea Cups (for smaller guests). Valid 7 days a week including holidays. Laser Tag - Must sign up at Laser Tag. Games are first come, first served. Must be 44" tall.